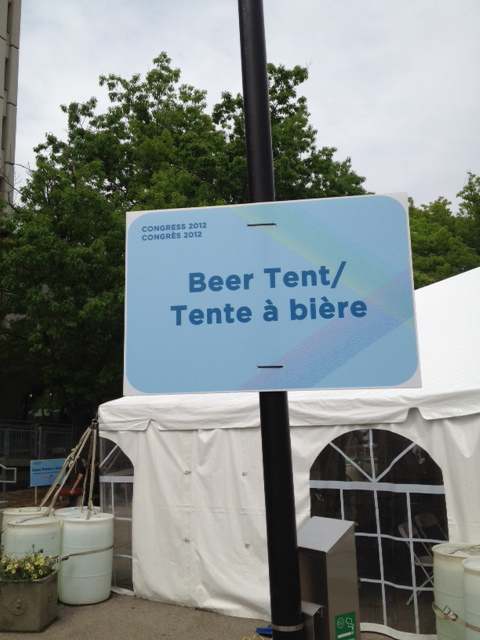 OK, I took this at Congress last year, but hey – you’ve seen one beer tent, you’ve seen them all, right? 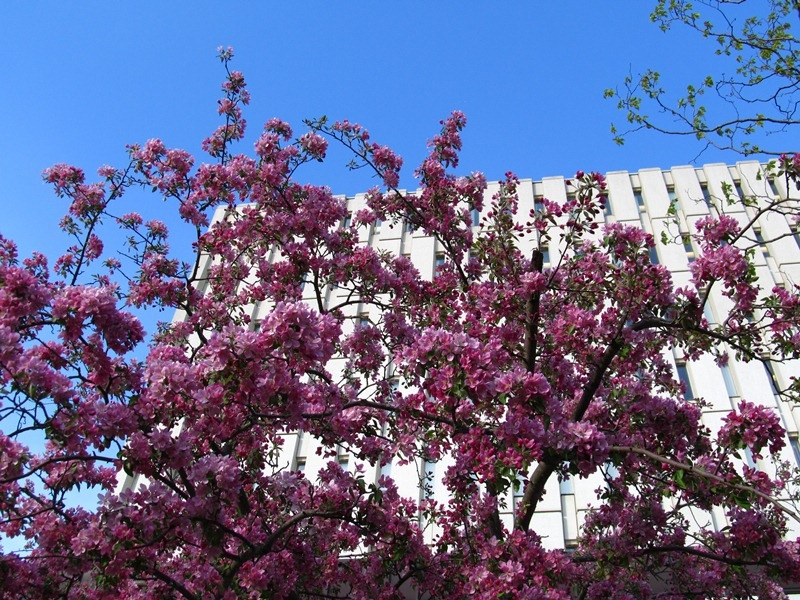 Hi everyone, quite a bit of news today, and first some updates from what Matt Doucet describes as “Canadian philosophy’s annual summer camp”: the Canadian Philosophical Association meetings, part of the Congress of the Humanities and Social Sciences. Tim Kenyon was also at Congress, where he presented the joint paper “Critical thinking and debiasing,” with Guillaume Beaulac (Western), and also a commentary on Mike Raven’s (Victoria) paper on testimony at the CPA. Tim also gave a talk on bibliometrics and other research impact measures as part of the Federation of Humanities and Social Sciences speaker series at the Congress. Shannon Dea says, “I presented my paper “A Harm Reduction Approach to Abortion” in a well-attended plenary session. The plenary was a great opportunity for me. Throughout the Q+A, and indeed, the remainder of the CPA, I received really helpful questions and comments about my work. I was even name-checked the next day in Daniel Weinstock’s “Big Ideas” lecture, where he emphasized the importance of harm reduction approaches and told the audience that I’m the only other philosopher he’s heard discussing harm reduction. I also gave a talk on Spinoza’s theory of judgment, and a commentary on a paper on the ethics of parenting. In other news, I’m leaving Monday for Nanjing, where I’ll be teaching a couple of Philosophy courses at Nanjing University, as I did last year. Last year’s experience taught me a lot about accessible instruction. I’m really looking forward to reprising the experience. Anyone interested in following my adventures in China is welcome to visit my blog: anotherchineseroom.wordpress.com. And one of our graduate students, Rosalind Abdool, presented two of her papers at the annual Canadian Bioethics Society conference at the end of May in Banff. Her first paper stemmed from her research area under the supervision of Mathieu Doucet; she discussed three major philosophical accounts of personal identity, provided a critique and comparison of the accounts and applied this analysis to a case in mental health. The second paper was a preliminary presentation of Rosalind’s thesis work, under the supervision of Patricia Marino. She argued that two of the major traditional philosophical arguments against deception in caregiving are inadequate; she further argued that cases where patients are incapable provide unique challenges to these arguments, and that the use of deception can actually enhance autonomy and promote trust. 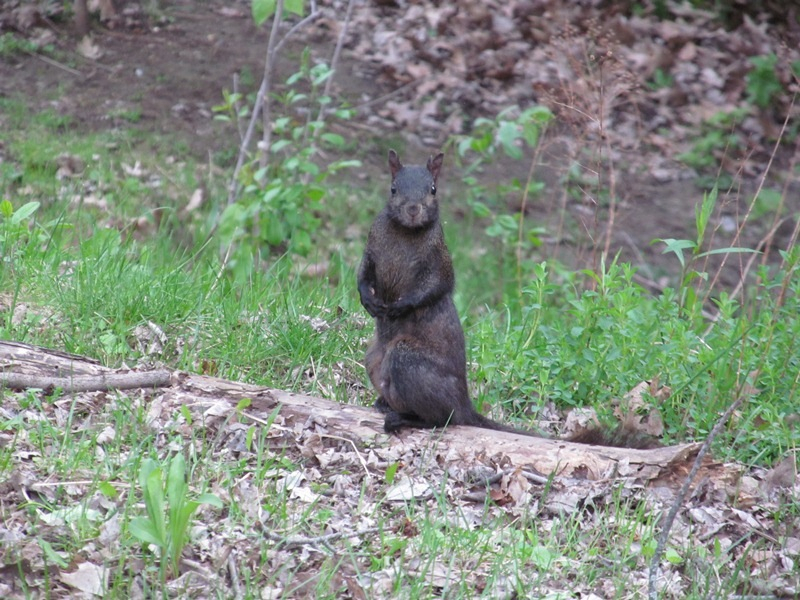 More amazing campus wildlife captured on film by Vicki! Next, the Department is pleased to announce teaching and travel awards. Jim has an excellent track record as both a teacher and a TA. The hard work he puts into course design and preparing his lectures, together with his obvious caring for his students, resulted in very strong student evaluations in all the courses he taught this year. Ashley won very strong praise from all the faculty members she TA-ed this year. They praised the quality of the feedback she provided to students, her reliability, and her pro-active approach to getting her work done efficiently and effectively. They are both highly deserving winners. But, as they are every year, these were very difficult decisions. 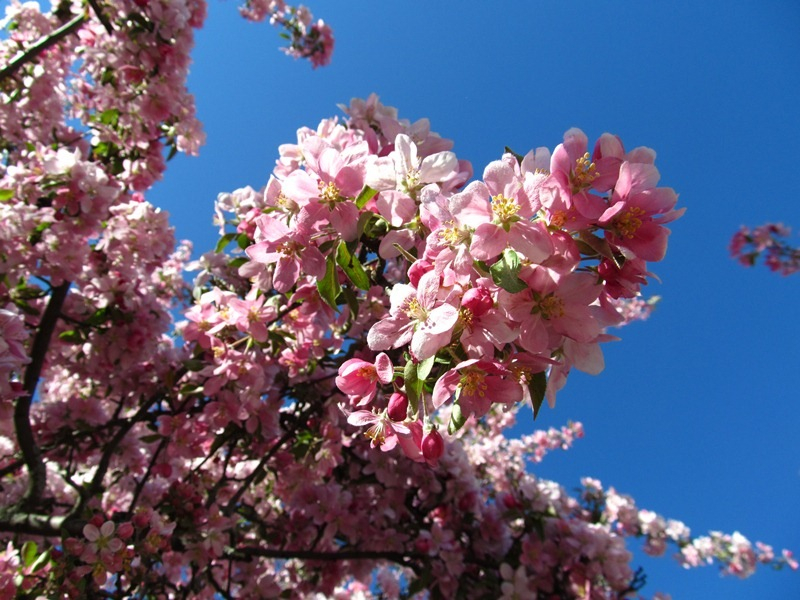 We are proud of all our grad student TAs and teachers, and wish to thank them all for their great contribution to Departmental teaching in this regard. The Philosophy Department Congress Travel Awards are for students with refereed papers accpeted at Congress meetings. This year’s awards go to Peter Blouw and Sara Weaver, whose papers are described above. Congratulations to Peter and Sara! The Philosophy “Excellence in Ph.D. Studies” Travel Awards are for students who have completed their course work and PhD Research Areas are eligible for this award. This award goes to two students each year based on overall performance in the program. The awards can be used for whatever will best advance academic prospects of the student, whether it be by sharing the results of their research at conferences, visits to summer institutes or other departments, or in some other way. The inaugural winners of this award are Paul Simard Smith and Rosalind Abdool. Congratulations, Paul and Rosalind! Paul is nearing the completion of his PhD, in which he develops a nuanced account of logical pluralism and investigates the ‘downstream” implications for current debates in other areas of philosophy such as epistemology and argumentation theory if logical pluralism is true. He has published a number of articles in professional journals and peer reviewed conference proceedings. He also has several presentations at professional conferences, and won an award for the top student paper at an international informal logic conference in 2011. He is an excellent teacher, receiving very strong evaluations from the students in his courses, and is one of the department’s best and most reliable teachers of online courses. Rosalind has long been known as a great Departmental citizen, with first-rate grades and terrific reviews for her TA-ing. This past year, she was president of the grad student association, and passed her dissertation proposal, which will deal with the use of deception in medical ethics, for instance in giving covert medication to patients. She works and volunteers in clinical bioethics fields at various Ontario hospitals, and delivered 2 refereed papers last year, one at the World Congress for Psychiatric Nurses and the other at the Canadian Bioethics Society Conference. We’re so pleased to be able to support our graduate students in developing and disseminating their research. Great work, all! Finally, I keep forgetting to mention, I also have a blog, which is sometimes philosophical: The Kramer Is Now: Accidental Philosopher Encounters Modern Life. If you want to read a recent post mocking recent trends in university instruction, you can check out Naked Accounting 101: The Course Catalog of the Future. 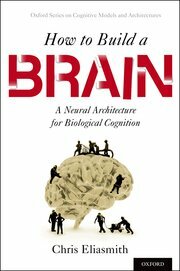 Hi everyone, Here’s some exciting news : Chris Eliasmith’s new book came out last week: How to Build a Brain: A Neural Architecture for Biological Cognition (Oxford University Press, 2013). Congrats, Chris! Carla adds that she, Sally, and Peggy are also developing and implementing a Site Visit Program: “Philosophy departments can request a team of visitors to visit their department to assess the climate for women in the department, and offer suggestions and support for making changes that improve that climate. On the day after the conference, hosted a one day intensive training workshop for potential site visitors.” Here is a link to some information about the workshop. 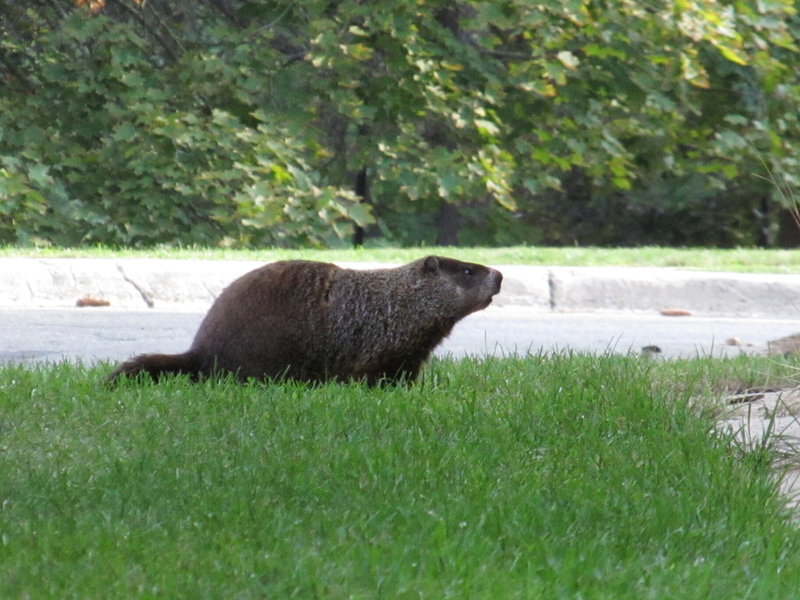 Vicki captures a campus squirrel. Vicki finds the most beautiful parts of the UW campus. “Is there a philosophy of electricity? If so, I should update my calling card to read ‘Applied Electrical Philosopher’. Or even better, I like the connotation arising from ‘Electric Philosopher.’ I’m having a wonderful summer working at the Mowat Centre downtown Toronto. The Mowat Centre is an independent, non-partisan think tank that is affiliated with, and situated quite close to, the University of Toronto. The Centre’s best-kept secret is a team of about twenty passionate, over-educated, and dedicated thinkers and writers who produce a steady stream of substantive analytical reports on timely topics – among them senate reform, cultural policy, and employment insurance, to name just a few. The Centre’s worst-kept secret is the Beer Store on the ground floor of the building. It’s humbling to be a 30-year old intern, but the work here has proved quite stimulating. My four-person team is in the midst of interviewing and researching aggressively to publish a report while the narrow policy window for input is still open. The goal of our forthcoming report is to provide decision makers with recommendations on how to structure Ontario’s electricity planning processes in a way that will garner greater social license from local communities. Our recommendations come directly from our empirical research and our own analysis of fundamental principles. In interviewing energy policy practitioners, I’ve discovered that many of these professionals have a deep awareness of the (political) philosophical underpinnings of the roles they play in society. Meanwhile, back at the office, I draw daily on my training in philosophy to drive our debates about principles (and the recommendations stemming from them) towards greater clarity and coherence. If you’re a UW Philosophy Department alum, grad or undergrad, and you have an update we could feature here, please send it to me!